Plus a few other additions. Marvelous will update Senran Kagura: Peach Beach Splash to version 1.04 in Japan in early April, which will add a new rule and map to the game, among other additions. A new rule where teams compete to see how many times they can “Kunekune Finish” the other team’s players. 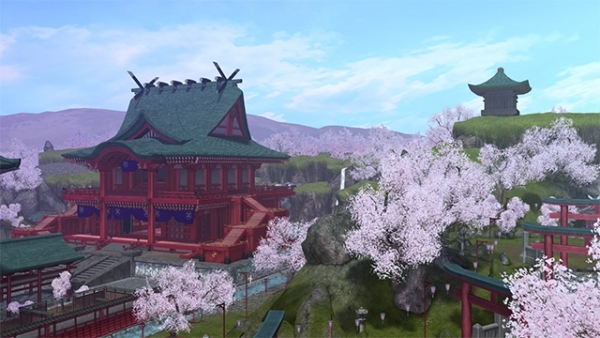 A “Japanese-style stage full of wabi-sabi,” perfect for the cherry blossom season. Play it in Multiplayer Splash or use it for a Diorama. You can play two versions of the stage—daytime and nighttime. The stage has a bright atmosphere in the daytime, and you can fully enjoy the beauty of the cherry blossoms in the nighttime. “Surprise Summer Festival” – The usually high-spirited Renka thinks that if this is just a normal summer festival, it would be pretty boring, and gets pretty wound up! “Save the Sushi Queen!” – Yomi, Hibari, and Minori are kidnapped and taken to Ryugu-jo. What is the identity of the formidable enemy that stands before them? Hit effects when an enemy receives damage has been added. When receive damage, it is indicated on the UI so you know which direction the enemy attack came from. Added entry to restore the “Favorite Scene Set” in Diorama mode to default. Check the tips that are shown on the loading screen at any time from the Peach Menu. 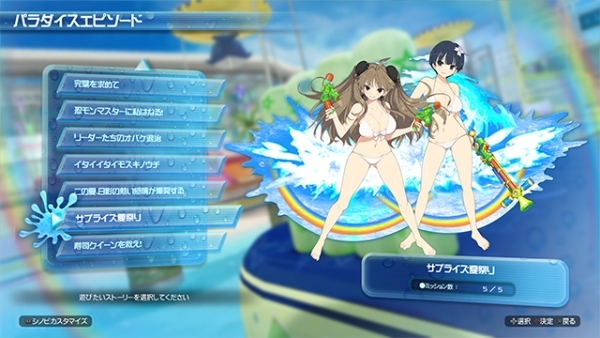 Senran Kagura: Peach Beach Splash is now available for PlayStation 4 in Japan, and will launch in North America and Europe this summer.